All of that tanking, all of the pain and anguish of a season deliberately thrown down the drain for... Jack Eichel. Not bad for the Buffalo Sabres, even though their savior has now been sent to hockey's Isle of Elba... the Edmonton Oilers. 4 years out of the past 6 they have had the #1 overall pick in the NHL Entry Draft. Just to make this absolute ridiculous even more, well, ridiculous, the Oilers owner Daryl Katz is suing Erie Otters owner Sherry Bassin for which Bassin threw the team into bankruptcy to avoid. His gleaming prize is now going to be the gleaming prize for a man that is suing him. In theory, McDavid could do what Eric Lindros and Eli Manning did before him, which would be force a trade to somewhere more palatable (which would be anywhere but Edmonton, let's be fair), but since Connor is a "good ol' Canadian boy from Newmarket, Ontario" (said in Don Cherry character), he won't do that. Maybe this will force the Oilers to trade one of their other top draft picks that now will see reduced ice time because the new savior of hockey is going to be handed the keys to the Ferrari (a Mondial 8 because Oilers), or maybe the Oilers will draft a player in an area of need (which to be fair, is everywhere). But in every respect, this is... not good. 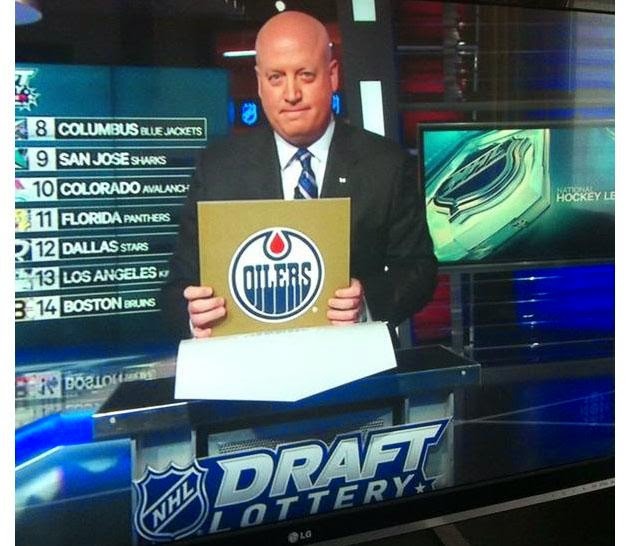 Edmonton is the hockey equivalent of a black hole; good players go to die in Edmonton. He's also well out of any US media spotlight in Edmonton, not the case with Mario, Eric, or Sidney. Instead, he's in about the least palatable place on the North American continent (next to Senor Frog's). Winners? Oilers fans who still have the stomach to deal with the garbage they've been given for so long.